In order to successfully integrate Artificial Intelligence (AI) into your existing business data, get ready to think about infrastructure, context, training your staff and much more. Over the recent decade, only a few technologies captured our attention quite as much as artificial intelligence (AI). The interest is justified, because the technology is poised to drastically change the current business landscape. For example, a recent survey of Fortune 500 CEOs found that 81 percent of them believed that AI/Machine learning technology was “important” for them. As you can see, AI was more important for CEOs than virtual reality, remote sensors, nanotechnology, 3D printing, and advanced robotics. More and more people realize that AI is not science fiction and is already being used extensively. Are you ready to embrace the endless possibilities provided by AI? In this article, we’re going to review what you need to consider to ensure a successful implementation and four preparatory actions that you need to implement to prepare your business data for AI. To lay out the groundwork for successful integration of AI, you need to consider the following. Familiarize yourself with AI and what it can do for your business data. You as a business owner cannot afford not to understand the capabilities of AI, because you can lose a lot of great opportunities. So, to make sure you know what it can do, take an online course and get your knowledge up to date. Good options include Intro to Artificial Intelligence by Udacity and Artificial Intelligence for Business from Columbia Business School. Determine the most important areas in which AI can benefit your business. Using AI without a clear action plan is not a good move because in this case, you’re basically diving into the unknown. When discussing how your business can benefit from AI, be sure to identify particular areas and prioritize some of them. Business data should certainly be there. Make sure your IT infrastructure can handle the change. A business must have a solid IT infrastructure to handle AI, and many of them are lacking that. For example, a recent study by Belatrix found that 29 percent of respondents viewed “Difficulty managing and analyzing the data” as one of the top five issues with getting started with AI. Now, let’s see what it takes to prepare your business data for AI. AI and machine learning (ML) have limited ability to analyze data without labels. Even though unsupervised learning in ML can conduct exploratory analysis on such data, it cannot produce insightful information. Therefore, it’s not recommended for businesses to make a transition to AI and ML without data that is properly labeled. For example, let’s assume that a business has a large volume of customer support emails and tickets that are labeled according to the category of the problem (deliver issues, refund requests etc.). By developing a system that automatically labels incoming customer support chats, emails, and phone calls, the business will ensure that the insights produced by AI will be meaningful. Do you know what information to feed AI algorithms? Indeed, this is something that should not be taken lightly, because thinking through what information to feed is not as easy as it sounds. For example, most AI and ML algorithms are proficient at determining correlations, but they don’t understand the information surrounding the data. A recommendation tool for an online store over-recommends a particular product. To discover the problem, specialists conduct an investigation and find that this product was promoted heavily six months ago, so historical data showed a large increase in sales from current customers; moreover, the promotion was based on the “discount” rather than the actual usefulness to the customer. To avoid having similar problems, you should give AI both data and context. In this case, it will understand the facts surrounding the data and ensure that solutions it produces are relevant. You should thoroughly evaluate all departments within your organization and all processes with each. In some cases, you may have to automate some of the tasks to ensure that your personnel focuses on tasks that deliver more value. What are the low-value aspects of jobs that could be removed? Which repeatable tasks take a lot of time? Investing in your employees’ knowledge of AI and its impact on data is a must for all businesses. In addition to increasing the chances of successful adoption of the new technology, it’ll be a guarantee of competitive advantage in the long-term. Many businesses are already investing in employee education and even more plan to engage within the next several years. 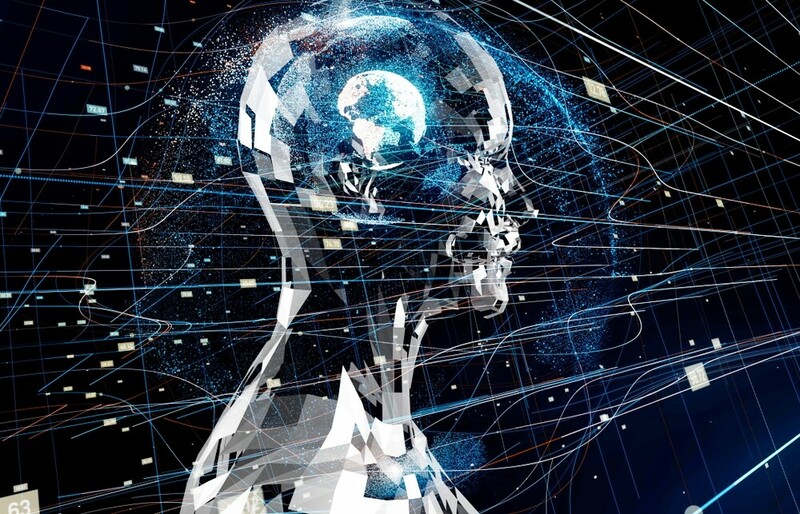 According to “Is Your Business AI Ready” report from Genpact, 82 percent of companies plan to implement AI in the next three years and 38 percent say they currently provide their employees with reskilling opportunities. By investing in employees, you’re also increasing the readiness of your data, as they will improve their knowledge of data integration. 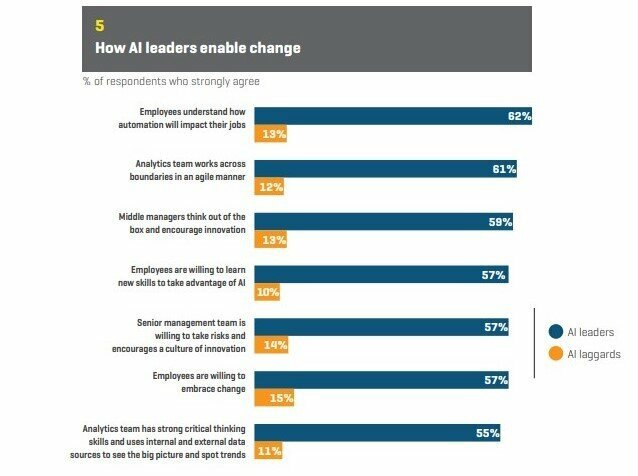 According to the aforementioned study by Genpact, here are the areas of employee education in which AI leaders support the change. One more thing: ensure that all training and learning sessions are tailored to the needs of your company. For example, consider your industry, company size, and data needs while consulting with an educational expert about choosing a course. AI is increasingly considered the key to creating a unique competitive advantage and unlocking the value of the data accumulated by a business. While integrating AI isn’t exactly an easy thing to do, it’s also not one that any innovative organization can leave off the table for long. Preparing data for AI is a critical component for ensuring that the accumulated data transforms into a value-added reality, but it also requires some serious preparation and monitoring. Hopefully the tips above will ensure that your preparation is flawless and creates a solid foundation for AI integration. Nancy Spektor has sharpen her pencil at The Daily of the University of Washington. After graduation she decided to combine her business degree with her passion for written communication at www.a-writer.com. Nancy writes about marketing strategies, content management and various other topics that she finds intriguing. If she is not composing on her laptop or notebook, you probably can find her playing with her dog, Bok Choy.